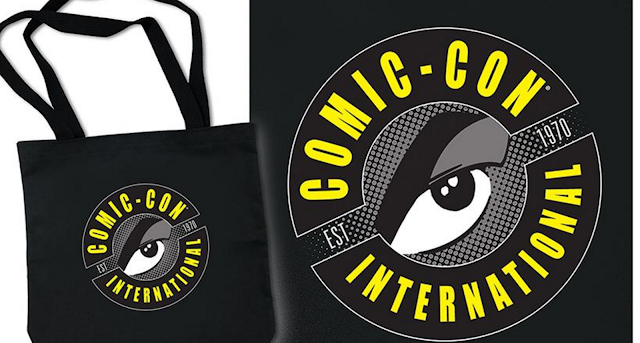 Countdown to 2016 SAN DIEGO COMIC CON. As we get closer more and more details are being released as far as which TV Shows and Movies will be attending, as well as more more offsite events. I will try to gather more info every week until SDCC and share it here! For starters, THE BANNERS ARE UP! 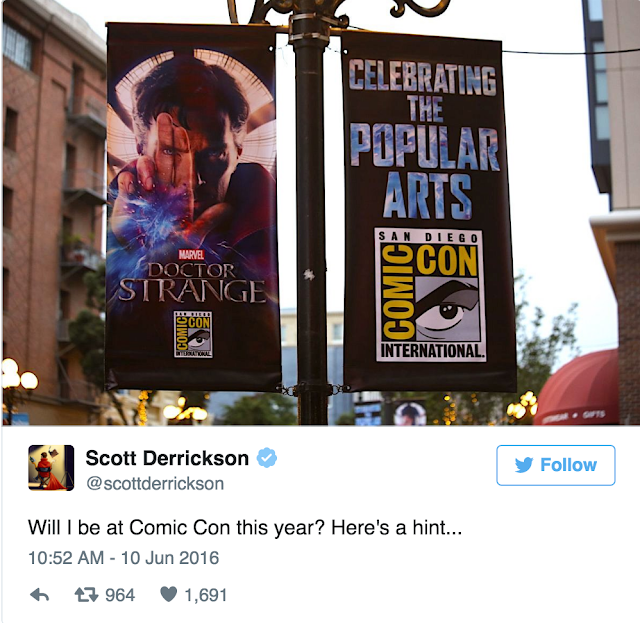 The start of the con season is with the banners that go up all around San Diego and this year it looks like Doctor Strange has taken to honors of presiding over the city for the next 6 weeks. Director Scott Derrickson is teasing that he might join in on the action... in person. In news that I am personally interested in Fear the Walking Dead and TMCs the Walking Dead will be at hall H again this year! Hall H is the dreaded major panel hall that you basically won't get into unless you camp overnight. I pay about 220 a night for a subpar hotel, so homegirl is not camping for no damn panel. HOWEVER-- This year the rules are rumored to be different. Along with the upgraded RFID entry badges, it looks like panels will be based on a lottery system making this whole thing wayyyy more fair. Panel rules were always not fair in my opinion. You can camp all night to enter Hall H (which is basically a large auditorium) and once you enter, you can stay all day. There is obviously a max capacity so depending on who is in the panel you won't get in. Hall H is home to the largest most talked about Movies and TV shows... so it's very difficult if you want to enjoy the actual exhibit halls while you are there. New merch is here! 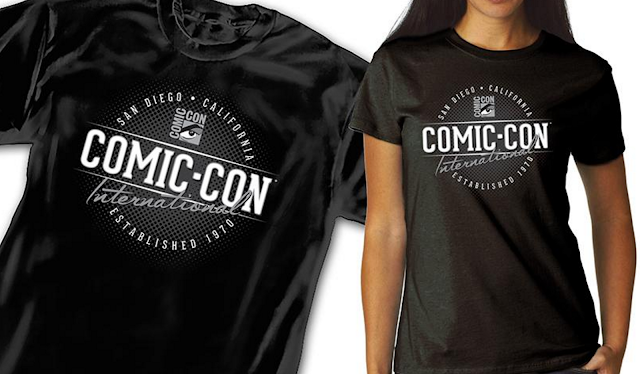 This is my third year going to SDCC and the shirts were the same the past 2 years. I think they probably just added a new colorway. I wish this art was on a TShirt! I would buy it in a heartbeat. I'm still waiting for Conan to open up reservations for tickets. He quietly put the show dates on the Iota website... I'll keep you all posted on here and on twitter! Last year I was able to attend Conan on 2 nights so I definitely recommend attending if you can. You don't even need Comic Con badges since it is an offsite event. PHEW. At least most of my outfits are together! I can't wait for a vacation.